What are the best sites to buy stock photos online? There are plenty of stock photo agencies where you can buy stock photos online without breaking the bank, but knowing the best and most affordable might require a little help. 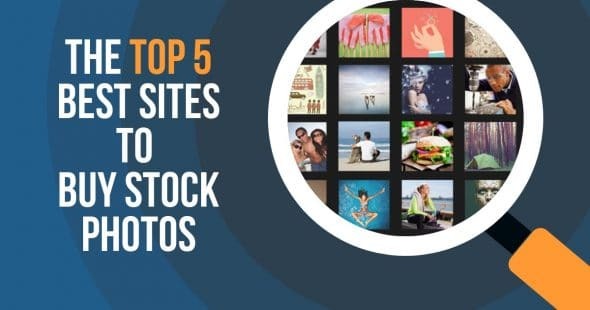 That’s why we’ve decided to put together the Top 5 Best Sites to Buy Stock Photos so that you know exactly where to get the best royalty free stock photos for the best price. If you want more, do check our big fat list of the 20 Best Stock Photo Sites or our Best Free Stock Photo Sites here. There are plenty of different stock photo subscriptions and image credit packs available from different stock photo agencies. But some stock photo agencies will cost you a little more than others, but there are a few that offer the best value possible with premium quality stock images. For example, Stock Photo Secrets has its own subscriptions plan called the 99club that gives you lots of images for as low as $0.49 an image! 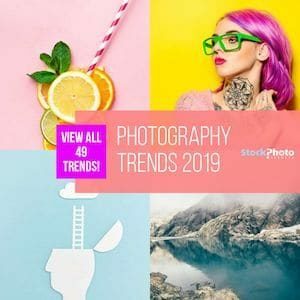 We’ve compiled a list of the top 5 best stock photo agencies to buy stock images so that you knew exactly where to go to find the best images at the best price. While some may be more expensive than another, each of these top 5 agencies is the best places on the internet to search and discover premium stock images for your project. If your hope is to save time and money, you are in the right place. So without further ado, here are the top 5 agencies to buy stock images cheap. Where else can you get 200 XXL (XXL means you can print confidently at A3 size with 300dpi up to 6’ x 6‘ with 72dpi.) royalty free stock photos, premium vectors, and fonts for just $99 (only $0.49 per image!). Stock Photo Secrets’ 99club is perfect for small businesses or freelance graphic designers who need hundreds of images per year on a tight budget. You get to choose from over 4,000,000 stock images in our collection, with up to 80,000 new stock images being added every month. 99club gives you exclusive access to our growing collection of premium content, and one of the lowest prices you will find anywhere. Read our 99club Review to see if it is the perfect fit for you. If you are ready to sign up, buy a 99club stock photo subscription now. And now you have great short-term options to buy great and cheap stock photos at StockPhotoSecrets! Our new and exciting Monthly Subscriptions let you get from 25 and up to 500 XXL images per month, paying as little as $0.21 each! Best of all is you hire these plans month to month, for as long as you want, no strings attached! Check our Monthly Plans here now! iStockphoto (now iStock) by Getty Images is one of the oldest and largest stock photo agencies around (started in 2000). They sell images by credits and subscription plans and offer some of the highest-end stock images to choose from, especially if you decide that you occasionally need a really unique image. You can buy photos on demand for between $8 and $33 each, or get them with subscriptions starting at just $40 for 10 downloads monthly. Their regular images are great and the inventory is in the millions. Read our iStock review for more info. iStock also offers free downloads every week, so read here to know where to find iStock photos for free. iStock membership is free so sign up here now, and click here to see iStock plans and prices detailed. Guess what? 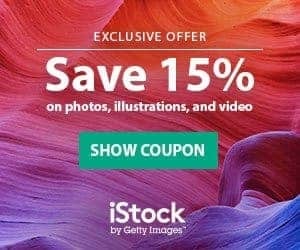 We also have a great exclusive deal for you: our iStock Promo Code that gives you a 15% off in all products! Buy anything you want at a cut price! Hurry up, it's a limited time offer! Adobe Stock is one of the newest players in the stock photo agency game and is great for Creative Cloud users because of its integration with the software. You can buy images with monthly plans starting at 3 images for $9.99, and there are options for annual subscriptions too. While it might be more on the expensive end, the ease of use for Adobe Stock when you’re working in Photoshop or Illustrator is second to none, and the size of their image collection is massive after acquiring Fotolia and Dollar Photo Club this year. What is really helpful is that you can search for images right in the software, which also allows designers and editors to design and comp the images before buying a license. Read our Adobe Stock Review here. Click here sign up for Adobe Stock, and to make sure you get 10 free images to use within the next month risk-free, get your free trial here. Photocase is a well-established stock photo agency based in Berlin, with a strong focus in artistic stock photos. Since over 15 years they specialize in artistic, chic and very unique imagery. This is high-end stock photography that exceeds the norm for the typical stock photos. If you are looking for images that are different and visually impactful, then Photocase is the right agency for you! Their library has a wide variety of photos covering popular themes and topics, always focusing in authentic aesthetics and representing a modern perspective. These premium stock images come at very reasonable prices, according to size. You can buy them with credit packs and save more when buying more, and you can also buy them individually. Find out more about this distinct and reputable stock agency in our Photocase review. If you are ready to buy premium stock images, make sure to use our special Photocase Coupon Code to get 3 Free Credits + 25% Off! Get 3 FREE Credits and 25% OFF on your first purchase with Photocase. Shutterstock offers both image credits and subscription options for stock photo buyers. Shutterstock image collection is one of the largest, with over 84 million royalty free images, but it is on the higher end of pricing. Whether you are running a team or need hundreds and hundreds of stock images per month, their flexible subscription plans, and image credits will suit your needs. Read our Shutterstock to get more aquatinted with what they offer here. And to check out their membership and sign up for free or to check if we have a Shutterstock coupon code, click here. This exclusive coupon will save you 15% on any image subscription! This exclusive coupon gives you 15% off in your stock footage purchase with video packs! Depositphotos is unique in that it offers three sorts of pricing options: on-demand downloads (credit packs), monthly downloads, and daily downloads. While not the most expensive of all the top 5, the flexibility of their plans is their true strength. Depositphotos image collection is rounding about 49 million stock images, and their competitive pricing gives you even cheaper images when you buy a subscription plan. Read our Depositphotos Review here to see if it is right for you. Sign up for Depositphotos for free, or get their Special Offer: Get 5 FREE Photos + 15% Off on Your First Purchase. Register and get 5 free credits to download high-quality images. As you probably already know, there are plenty of places you can get free photographs to download on Creative Commons (CC), and websites where you can get free photos. It sounds like an amazing thing, and for the most part, it sometimes can be, except… there is always a catch. When using wiki commons (copyright free photographs public domain) or other free photographs there are restrictions on how you can use the image, whether it’s attribution, adding links to the content creator, not being able to alter anything or something else you must do. For example, some images have restrictions on you using them commercially beyond editorial usage. Let’s say you want to use just a single element from a free CC image. Can you do so? The answer is usually no because each content creator/photographer can tell you exactly how you can and cannot use their file, and more often than not, they will not let you alter anything. There is a limit to how you can use CC or free stock images. You cannot alter them in any way, and you have to make sure that you are attributing the file exactly as specified. So is using Creative Commons good for freelance graphic designers or small businesses that need to use images to support their design projects? No, because of the limitations. Using stock images you have purchased will give you the ability to retouch or edit photos to your liking, especially if you need only an element in a particular stock photo. Want to learn more about editing stock photos, read Can I retouch stock photo I have bought? here to find out what you can and cannot do. What About Using a CC Image in T-Shirt Design To Sell? CC image usage is very limited and very rarely are you even allowed to change or retouch any part of the image, not to mention all the attribution hurdles you have to climb. So if you want to use a stock photo in a design or creative project, buying a royalty free stock photo is important to cover all your bases, especially when reselling is involved. At all stock photo agencies, if you need to make a project to resell something, you can get an extended license for your images very easily by paying more (each extended license will vary in how you can use it). So when purchasing a stock image to use in a commercial project like a T-shirt design or a postcard, you purchase an extended license for more commercial licensing. At Stock Photo Secrets it will cost you less, especially with our 99club subscription plan, where you can buy an extended license for only $30 ($60 for non-subscription plan members). So is the hassle worth it? It might be for some, but for small business owners that have stock image needs without much restriction, nothing equals royalty free stock photos. Where does everyone get these great photos you might be asking? And how can I jump in and buy stock images online and not break the bank? This is easy to answer as there are tons of websites where you can buy stock photos online and never have to leave your desk. That’s right, you don't even have to leave your desk to find all the photos you’ll need for your designs, blogs, and websites. From the comfort of your office, you can find millions of stock images that need any photo coordination, no model or property releases, and that are instantly available with the press of the purchase button. Why Buy Stock When I Can Get Them Free? Stock is already licensed, cheap, and premium! There are photographers who only make stock photos for a living, who take photos and submit them to stock photo agencies for residual income. With most stock images having royalty-free licenses, the stock agency can sell it as many times as they want, so the photography continues to get paid instead of the photographer only having to find a one time buyer. This is what makes stock images work! Stock photo buyers are provided with the right to use the photo, not an exclusive right mind you so that it can be licensed again and again. Licensing is the key to stock. Creative Commons requires users of free photos to link, request permission, credit the photographer and in some cases more. For stock agencies, you sign up to a site, pick your photo, pay, and download. There is no obligation to credit, searches are faster and you get your photos quicker. The benefits of buying the right stock image credit or subscription plan for your business needs is important because with the right knowledge you will save you time, and most importantly money. Creative Commons images and free stock photos have their limitations. If you have a need for photos that you can retouch, manipulate, edit, then a CC or free stock photo might limit you too much. With stock photos, you don’t have the limitations. For the most part, each stock image comes with a standard license that lets you edit and retouch photos without much resistance. A stock photo image credit or subscription will save you time, money, and give you premium images to use for your creative projects. The 99club being one of the best values around today, you get 200 humongous images from a large image collection for cheap. You can buy stock photos for commercial use, and buy stock images with PayPal to make it easier if you are an international photo buyer. Click here to read Which Top 5 Stock Photo Agencies accept Paypal. We hope our buying stock photo tips have been helpful and lead you in the right direction that will best suit you. Check out our cheap photo buying options so you have more websites to choose from when you are ready to buy stock photos online. Shutterstock to Open World’s Largest Physical Library in 2020! Shutterstock is one of the most popular stock photo agencies in the market. With well over a decade in business, they’re the pioneers of the stock photo subscription, and the owners of what is arguably the largest royalty free photos collection in the web, with over 220 million files and counting. In Shutterstock, variety isn’t a problem! This is also a very affordable agency. Their image packs give you high quality stock photos for $9,16 and $9,80 each. And their star subscription plans let you get these professional stock images for as little as $0.27 to $4,90 per unit. If you want quality, reliability, variety and good prices, Shutterstock is worth exploring.